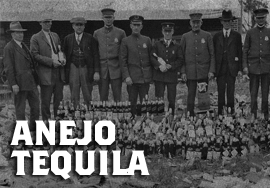 Anejo tequila has been aged for longer than 12 months in oak and is the richest and typically darkest of all the tequilas. With the expanding interest in the anejo category- especially by whisky and cognac enthusiasts, more and more tequilas are being released that are 3 years old or older. In 2006, a special designation of Extra Anejo was added to help categorize these special bottles.